HorrorCultFilms will be casting a fiendish eye over Sheffield based CDComics and bringing our readers the low down on each mystereious novel. 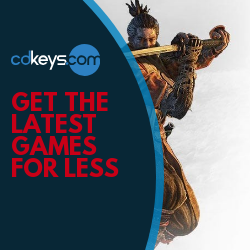 CDComics has been publishing comics locally since August 2010 and was originally exactly that, comics produced on CDrom and created by Craig Daley, so the company name was almost inevitable. 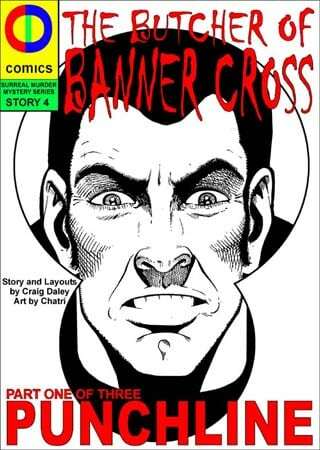 Craig Daley first self published local fanzine style comics back in the 1980’s, but it was black and white photocopies back then. 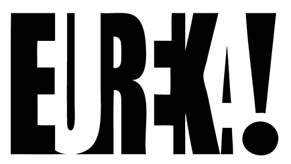 In 1992 he created ‘The Jerks’ comic strip for the national magazine, ‘Making Music’ and produced much of their comic book style internal artwork, while also writing gig and album reviews. Then for fifteen years was a lecturer in Art, Graphics and Media in both London and Sheffield colleges, but has now after a lengthy gap returned to self publishing in the digital age, while also with his partner, running a giftware design company, JaS Design. 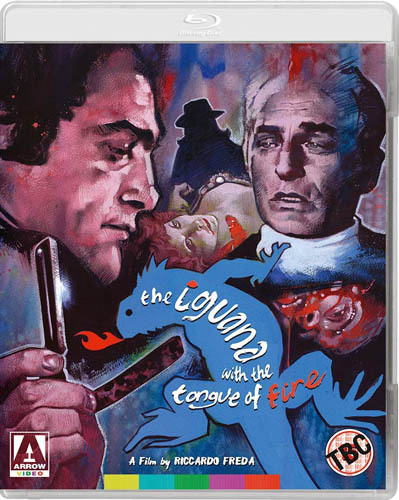 He cites his influences as wide and far reaching, everything he has ever read, seen or heard, but sees Nigel Kneale’s Quatermass and the Twilight Zone Cult TV series as his major inspiration when referring to CDComics Surreal Murder Mystery series. He also still loves reading those early Marvel Comics from the 60’s, by Lee, Kirby and Ditko and has a passion for EC Horror comics from that period. W hen interviewed by the Sheffield Star back in 2010 he jokingly commented that, “He wanted to turn Sheffield into UK’s version of Salem”, but now CDComics are available in the US, maybe his dream or rather his nightmare could be become a reality. 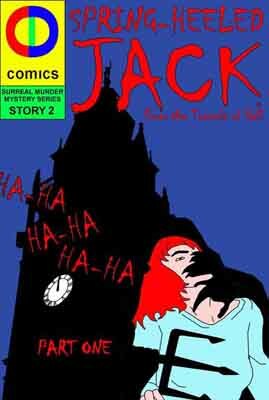 The Surreal Murder Mystery series that are whodunits with all the clues in the full colour comics and the first three stories are Meadowhell, Spring Heeled Jack and Football Crazy and we are promised that more are on the way. 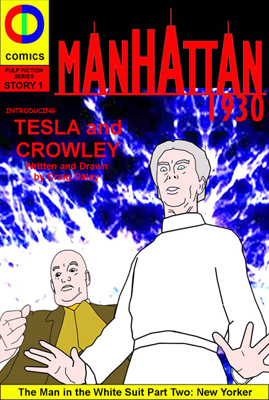 The Pulp Fiction comic Manhattan 1930 issue 3 is due for digital release this month and concludes the story of the masked Harlem PI’s encounter with Nikola Tesla and Aleister Crowley in this occult meets steampunk science narrative. Finally War Nurse, the domain free WWII creation originally from Speed Comics that has revamped by CDComics has issue two in the pipeline to follow on from the tongue in cheek homage and retelling of her origin. This time the English nurse in her underwear takes on Nazis Zombies in the sleepy village of Dolville while the cast supporting characters continues to grow in 1940’s Britain. 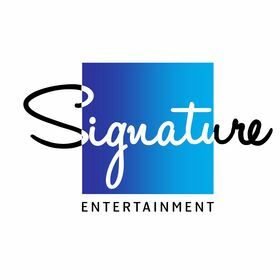 What’s next in the CDComics Surreal Murder Mystery series? CDComics ‘Spring Heeled Jack: From the Tunnels of Hell’ finally reveals the truth about the infamous Victorian Urban Legend. It brings the Penny Dreadful myth from London streets bang up to date and back to Sheffield. The first reported sighting of Jack is claimed to be in London in 1837, but in 1808 a letter to the Editor of the Sheffield Times made reference to an appearance before the turn of that century. The Old Queens Head is the oldest pub in Sheffield was built in 1572 and has a carving of Jack on its timber frame and the truth is that Jack the trickster has visited Sheffield on the 73rd year of each century and sightings were again reported in the local press in 1873 and 1973. So why has he returned again at Halloween 2011? CDComics asks the question and all the clues to solve the mystery are in the pages of the comic as one man fights to lift a family curse. 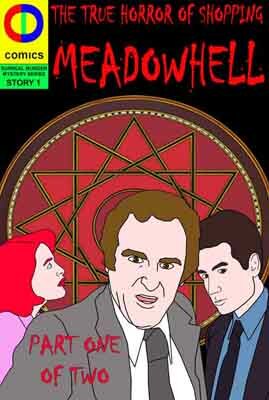 “This is real Hammer style horror,” says Craig Daley, the author and artist. Jack is back sixty-two years early and this time the demon from hell is killing people rather than just shaming Victorian ladies by ripping at their clothes. 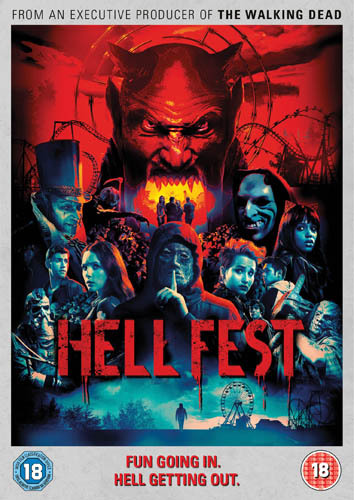 The narrative takes place over the five days after Halloween across in three different centuries to finally solve the mystery and the solution does bring the fire breathing, leaping demon bang up to date. CDComics ‘Meadowhell: The True Horror of Shopping’ carries the warning that the comic could change the way you shop forever. It follows the police investigation into the three horrific murders in 1990 at the soon to be opened Meadowhall shopping centre. The comic draws on the world events around the Summer Solstice that year and the clues are placed like Easter Eggs for reader to discover or to look back at after the killer is revealed. When asked to sum up the narrative Craig Daley, the author and artist said, “It’s like Frost meets C.S.I with a little Richard Dawkins thrown in to make things interesting,” and the unexpected and surprising twist at the end of the story certainly does that. 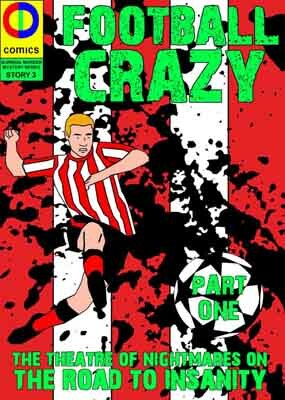 CDComics ‘Football Crazy: The Theatre of Nightmares on the Road to Insanity is published locally in either red or blue and white for both sets of supporters, Sheffield Wednesday or United and is also available on line in red and white. The story follows the lower league clubs F.A Cup run with games against top Premier League teams against the backdrop of a police investigation into the murder of one of the Sheffield players. The images blend football action, TV punditry with autopsy scenes, crime scene investigations and interviews with possible suspects. There are plenty Easter Eggs around, whether linked to the identity of the killer or just football references and without giving away too much, check the names of all the players and the names of the detectives investigating the crimes. Like with the previous Surreal Murder Mysteries, the reason behind the murders and the killers’ identity doesn’t disappoint and is even more surprising and surreal than both Meadowhell and Spring Heeled Jack.